U2's Larry Mullen Jr was among those who paid tribute to Larry Gogan on his last day on 2FM on Thursday, penning a heartfelt letter to the broadcasting legend. Mullen's letter was read out to Larry live on air by Tracy Clifford on 2FM on Thursday afternoon as the much-loved presenter prepared to make his move to his new home on RTÉ Gold. "Dear Larry, greetings from the sky," Mullen began. "I'm scribbling this note at 35,000 feet, looking down on a partially frozen Potomac River as we prepare to land in Washington, hours late, due to Trump's shutdown! "It's been a happy/sad kind of day. My youngest child has just celebrated his 18th birthday, and you are at the end of your time in 2FM. Youth is wasted on the young and age is just a number. "I wanted to be home for both occasions; unfortunately I had to make this trip. "We are alike in some ways: never that comfortable in the spotlight, but spending our careers there. You wear it better than I, with grace and dignity. "I wanted to write, as it feels like the best way for me to honour you. It also means that only one of us gets embarrassed! "It's never too late to thank you, or to recognise your part in our early success story, and that of so many others. Late night radio tastemakers, then and now, claim and receive credit, as they should, for their part in all our success stories. "It's never too late to thank you, or to recognise your part in our early success story, and that of so many others"
"But you have been a constant on daytime 2FM for just 40 years. A little less glamorous or cool to some, maybe, but that's who you are: non-elitist, just playing the music you love. "I'll miss you on 2FM - suppose I'll just have to press a button and find you on Gold. 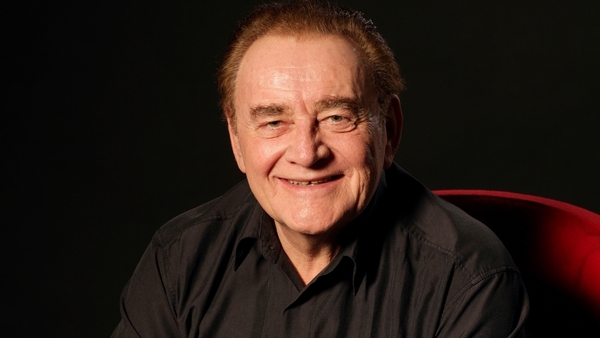 "And that's what you are, Larry Gogan, pure gold."